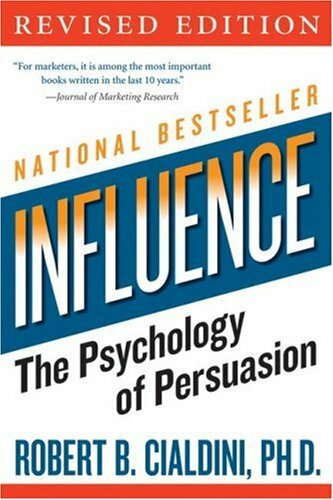 Because I really enjoyed reading influence: The Psychology of Persuasion, Amazon recommended that I read Kevin Hogan’s The Science of Influence: How to Get Anyone to Say “Yes” in 8 Minutes or Less! I’m not a salesman, but I do have an interest in business, investor and consumer psychology. If consumer psychology is an interest of yours or you work in sales, give it a read. The most interesting chapter is I’ll Think About It. In a nutshell, the more choices a consumer is presented with the less likely a choice will be made. And when we do make a choice, we are less confident in that choice and more likely to have regret. A salesman that can limit choices is more likely to make the sale. In the age of unlimited options this may seem backwards, but it makes perfect sense. When we take a child to an ice cream store, do we tell them about all 31 flavors of ice cream? Of course not. We tell them about 2-3 choices or the child will be unable to make a decision. Too many choices. In reality we all are becoming victim to Too many Choices. Ever get behind someone at a fast food restaurant that gets paralyzed by the number of menu items and takes forever to order? Modern life is full of endless choices. Most of which aren’t important. Middle-class America has never been as wealthy or lived a better, healthier, safer lifestyle than in 2004. But 10 times as many people are suffering from depression in middle-class America than in 1904! TMC. Too many choices! People are becoming responsible for their choices and it is causing an enormous amount of distress, anguish, regret, anxiety, and depression! 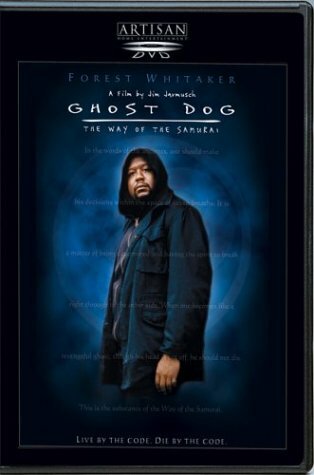 In the movie Ghost Dog – The Way of the Samurai, we learn that when a samurai makes a decision it should be done in the space of seven breaths. My guess is a samurai never had to pick a ring tone from Cingular’s web site. Analysis paralysis is the modern term that best describes the effect of too many choices. One of the reasons we have trouble making decisions when there are too many choices is we are aware that we have hindsight bias. This concept was covered in John Mauldin’s book Bull’s Eye Investing: Targeting Real Returns in a Smoke and Mirrors Market. It is all too easy to look back at the past and think it was simple, comprehensible, and predictable. This is hindsight bias – a tendency for people knowing the outcome to believe that would have predicted the outcome ex ante or beforehand. Mauldin is discussing investing, but it could easily apply to the choices we make as consumers. We sometimes make the wrong choices and think that had we analyzed our decision more we would have made the correct choice. This reinforces poor decision making and leads to more of the distress, anguish, regret, anxiety, and depression that Hogan discussed. What can we learn from Hogan, Mauldin and the Samurai? 1-Too many choices are overwhelming for both children and adults. 2-When a good salesman is not there to limit our choices, we must do it ourselves. 3-Try and make a decision in 7 breaths, lest we get into analysis paralysis. 4-When a decision turns out to be wrong, don’t fall for the hindsight bias and believe you could have seen the future. this is why i avoid very large stores with a kazillion choices. it’s worth it to me to go to the smaller store with only three choices and pay 30 cents more but i get to keep my sanity. it’s also why i have almost the exact same breakfast every single day. Great post. One thing I’ve learned is that we ALL make decisions with our emotions and then try to justify them with our intellect/reasoning. We are all emotional creatures.